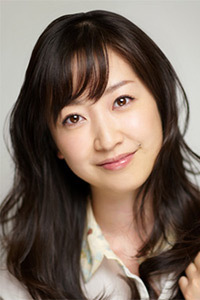 I first saw her in the drama "Teru Teru Ashita" and I was impressed how she played the main character, Teruyo. She does a good job in all of her dramas, especially whenever she plays as a young stubborn girl. -she's cute and she's great, especially in Detective Conan as Ran Mouri, and funny as well whenever she punches a wall, or something, haha. Adorable. She's a great actor too. Though she's still young but she acts and can expresses well! Her earlier dramas are her best.